The beauty of roller doors is that they can succeed where other garage doors fail. For example, if you have a short driveway, a narrow or arched entrance, or a garage that opens directly onto a road, we wouldn’t recommend an up and over door because it would protrude when you open or close it. However, with a roller door you have no such worries as the roller door curtain opens vertically and tightly coils up around the axle. 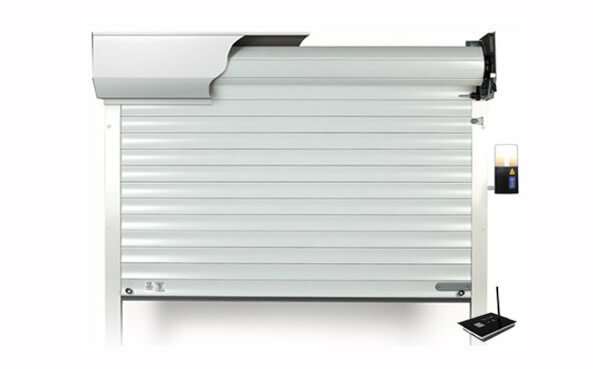 Roller door are constructed using aluminium slats that are filled with foam inserts meaning that they have become a popular choice for people wanting to keep their garage insulated, although a single skin option is available. Generally roller doors are supplied automated and come with 2 remotes as standard but for people that don’t have power in their garage a manual alternative can be provided. Roller doors are space saving, extremely secure and come in a vast catalogue of colours and woodgrain finishes.